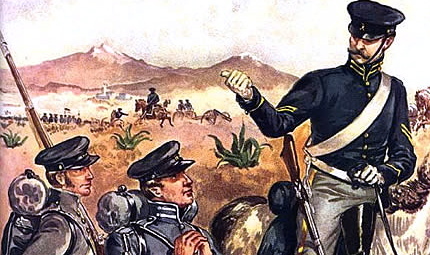 On June 1, 1854, a column under the command of Lt. 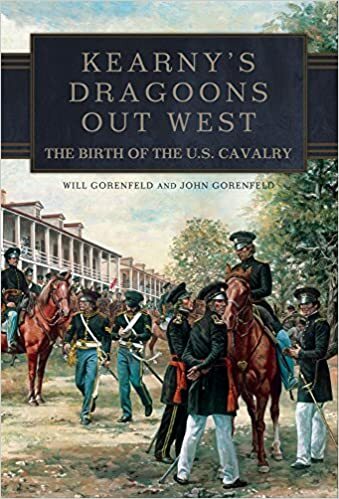 Colonel E. J. Steptoe, consisting of 77 supply wagons, 2 companies of 3d Artillery and 90 much needed recruits for the 1st Dragoons out in California, left Ft. Leavenworth by way of the Overland Trail. Major Steptoe carried secret orders from the President to investigate whether the Mormons had taken part in the 1853 murder of Captain John Gunnison and his surveying party. He also carried orders to, if necessary, to declare martial law and take control of the territory. The column included about 300 horses, but the Dragoon recruits walked. There was a shortage of good horses in California and Quartermaster Rufas Ingalls viewed these newly purchased mounts to be too valuable to be exposed to the rigors of being ridden by inexperienced soldiers on a cross-country march. He ordered that the horses be led in strings of 30-40 mounts that were attached to the wagons. The command reached Fort Kearny on June 21st and remained there for two days. It reached Ft. Laramie on the 16th of July and headed west along the North Fork of the Platte River. About a month later, Major Steptoe’s detachment entered Salt Lake City, 92 days and 1,216 miles out of Ft. Leavenworth. They encamped in nearby Rush Valley for a few weeks and then, to the chagrin of many Mormons, moved into quarters in the town. Let it suffice to say, the proximity of soldiers and civilians is a formula for trouble. Indeed, tensions began to heat up when several young lieutenants used their epaulettes to impress Mormon girls—”including some married women. Lt. Sylvester Mowry courted the wife of one of Brigham Young’s sons. The Mormons were even more distressed over the sometimes rowdy exploits of the recruits. The authorities banned the sale of alcohol, but thirsty soldiers could always show the recruits how to find some bug-juice. Matters came to a head on December 23 when a fight commenced between civilians and drunken soldiers at a theatre.